10 Places To Visit From Mumbai This Winter! Living in Mumbai? Planning for a trip? Yes! You are on the right path with the chilly weather coming up and the holiday season. Winter - This season has the magic effect, everywhere you’ll see love, kindness and mesmerizing nature. Nothing can be better for a traveller to travel in winters with their loved ones, family, kids. 1. Goa: Sun, Sand and Spices! Beach, Fun, Party, this is what Goa is all about! Spice farms, art galleries and the perfect place to watch the waves with a cocktail along with your beau. Winter’s the time when Goa is teeming with visitors. Renowned as one of the finest beach destinations in India. Goa is at her vibrant best in winters because of Christmas celebrations and Sunburn in Goa, which is one of Asia’s largest electronic music festivas! Culture of Goan Catholics is a blend of Portuguese and Indian cultures. Things to do in Goa: Beaches, waterfalls, wildlife and adventure sports are some of the top things to do in Goa along with visit to World Heritage churches and cathedrals and evening river cruises. 2. Ajanta and Ellora: Glorious and picturesque spot near Mumbai! The finest surviving example of Indian art. The 30 rock-cut buddhist monuments have mesmerised people since 2nd century BCE. Ellora is a 1200 years old ancient Hindu temple which is carved from a single rock entirely. A perfect spot to rekindle the artist in your soul, pleasant wintry climate is the best for it. Get your camera ready for this fascinating place. Click! Click! Click! Things to Do in Ajanta and Ellora: Top sightseeing and attractions include Ajanta and Ellora caves, the Buddhist caves and Jain caves in Ellora, Kailasanatha and other temples. The one of the best picturesque spot for the families. Distance: 427 km from Mumbai. 3. Mahabaleshwar: Literally, God of Powers! Want to lay back in the lazy evening under the clear sky at the top of the hill? Then most popular hill resort in Maharashtra, Exotic and cheerful hill station ‘Mahabaleshwar’ should be your first choice. Extremely mesmerising scenic beauty. From a family vacation to a honeymoon travel, Mahabaleshwar should be on your top list if you want to wander yourself in nature’s arm! Things to Do in Mahabaleshwar: Mahabaleshwar is a hill station offering activities, valley facing stay, strawberry farms, view points and adventure activities (Paragliding, watersports, horseriding, gokarting etc). 4. Matheran: Hills and Waterfalls! Want to feel like you’re on top of the world in the chilly days with your beloved ones with the clouds playing around you then ‘Matheran’ is the best destination for such pleasure that offers stunning views of the Sahayadri ranges, a bird's eye view of the lights of Mumbai and chilly nights. It’s breezy and fascinating in Winters. Things to Do in Matheran: Toy Train, Charlotte Lake, Panorama Point, Louisa Point, Hart Point, Paymaster Park and Panthers Caves are the famous attractions, Matheran is best explored on foot or on mountain bikes, If you’re an adventurous person , try this out here- hiking, trekking, climbing. 5. Ooty: An alluring paradise! A sip of hot tea, made of tea leaves growing in front of you, on a chilly wintery morning, and the pleasant weather and natural scenic beauty, in the queen of hill stations at half the usual price. Ooty, a hill station in Tamil Nadu is the dreamland of film makers. Make this dreamland more delightful by your presence and don’t forget to recreate your romance in the Gardens of Ooty as Salman Khan did in 1980’s blockbuster hit ‘Maine Pyar Kia’. Things to Do in Ooty: You can indulge in boating, angling, visiting to gardens, Trekking and hiking are the best way to explore the stunning landscape of Ooty. If you’re fascinated by flora and fauna then visit to a Botanical garden along with Rose garden is a must. 6. Panchgani: Origin of Jam, Jam, Jammy! Ever wondered how would things look down if we could fly, then think no more. With its spots over looking, breathtaking landscapes, Panchgani has become a spot not only for feeling like a bird but also its immense beauty and serenity has made it a top spot for tourists. You can even make your mornings extra sweet with mala’s JAM of panchgani, the originators of JAM in India. Things to Do in Panchgani:. Tableland, Parsi point, Sydney point are the thrilling tourist attractions, Mapro gardens which is famous for its strawberry produce is a must visit. Enjoy a thrilling time by Paragliding in Panchgani! 7. Mysore: Home to the centuries-filled with spices, silk and sandalwood! If you want to melt into a city blended with traditions and culture from the time of Haider Ali and Tipu Sultan, Mysore will take you to the magnificent journey of power, beauty, art and devotion with its innumerable heritage sites and mesmerising beauty. This karnatakan city will hook you to itself so that you never leave, and this city will give you the Royal feel. Things to Do in Mysore: Chamundi Hill, Palace, Brindavan Gardens, Chamundeswari temple, Mysore zoo are must visit. Nightlife and shopping in Mysore are the top things to do here! 8. Lavasa-Pune: Serene Mountains and Valleys! What’s better than enjoying exotic Italy without actually going there? Want to enjoy the natural wildlife and waterfalls this winters? Then wait for what, pack your bags and travel to Lavasa and Pune. Lavasa and Pune is a modern maravell structured on Italy right at our backyard. Things to Do in Lavasa-Pune:. It’s an ideal place for mountain climbing, hiking and trekking. Popular attractions here include Lakeshore which provides opportunity of adventure activities like boating against the water currents, cruises and jet skiing. 9. Alibag: The favourite getaway near Mumbai! Tired of the daily routine? And need a break for relaxing in the beautiful beaches and enjoy the sea, then Alibag is the perfect place for a weekend getaway. It’s the mini tropical island with calm beaches, making this place clean and unpolluted. Things to Do in Alibag: Walk into the sea and stand in middle of Akshi beach. Visit the sea fort of Chattrapati Shivaji Maharaj which withstood numerous battles. Enjoy the beauty of a crystal clear, cleanest beaches of India at Alibag for both physical and spiritual recharging during pleasant winters. 10. Silvassa: Home of Warli culture and Water Sports! Silvassa is the spooky treat for the backpackers and trekkers and wild life adventure seekers. Silvassa is famous for its scenic beauty and large number of gardens. Best time to visit here is winters! Things to Do in Silvassa:.Famous attractions in the city are the deer sanctuary and lion safari, Roman Catholic Churches. You can also set up camps on the sites of the Madhuban Dam. Looking for 10 places to visit this winter from Delhi? As much as we like the current monsoon weather in Delhi, we can’t really wait for our favorite season to come - winters! The working days will be exciting with the spine chilling cold, weekends will be spent sleeping-in cuddled up in a warm cozy blanket, hands wrapped around a hot cup of tea! BUT, and here’s the really big but, if you’re the sorts who likes getting out of bed this winter, likes exploring places to visit around Delhi this winter, loves meeting new people, and you’re bit by the travel bug, we’ve curated a list of cities to visit from Delhi this winter! Here is a list of 10 destinations to travel to in the winter season. Start packing, start travelling! If you love to travel in the snow read from 1 to 3 in the list of places to visit this winter, if you love the warm sun and tons of history check out 4 to 10 in the list of places to visit this winter from Delhi below. 1. 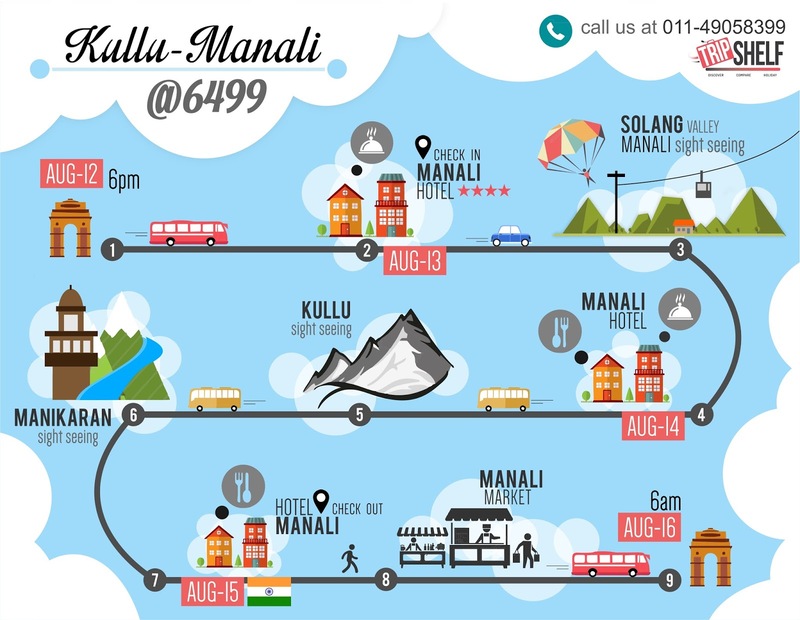 Shimla and Manali - for the snow lovers! With a distance of 350-550 kms from Delhi, Shimla and Manali, best known for their breathtaking valleys, with sun setting on snow clad mountains, birds chirping on blooming trees, can be called one of the best hill stations in India. Witnessing the sunset with your better half here is a treat to the eyes and a pleasure for the heart. 2. Dalhousie - romanticizing in the next best Switzerland! About 600 kms far from Delhi, Dalhousie is another popular hill station in the list. Known for its natural beauty and pleasant climate, the place is surrounded by 5 hills. Along with its scenic beauty, the place is also widely known as the mini Switzerland of India. Re-live the love with your sweetheart and create memories to hold for a lifelong. 3. 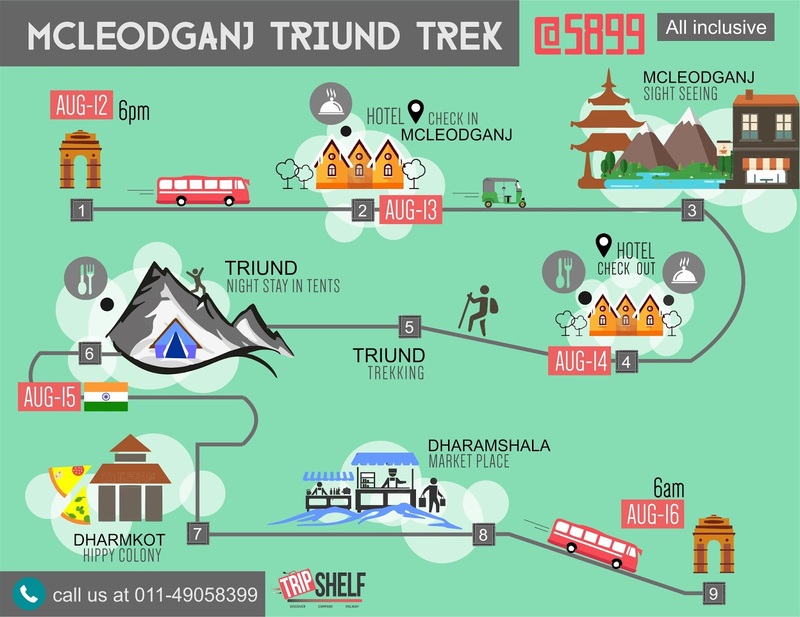 Dharamshala - for the trekker inside you! Situated around 480 kms away from Delhi, this destination is a paradise for the mountain lovers, with an added advantage of trekking. The 4 hour trek to Triund is worth the effort once you reach the top for a spectacular view of the town beneath you topped with cotton candy clouds. With a view of snow capped peaks of Dhauladhar reign, this place is also one of the headquarters of His Holiness Dalai Lama. 4. Udaipur - for the royal inside you! About 670 kms far from Delhi, Udaipur is famously known for its lakes and palaces. Beautifully portrayed in our favourite bollywood movies, this place is a top destination wedding location. It will not fail to make you and your spouse feel like a royal couple. This landscape beauty is surrounded by Aravalli Hills. Along with the soothing lakes, there are a number of heritage places as well to feed your spiritual side. 5. Ranthambore - for the wildlife enthusiasts! About 460 kms far from Delhi, this place is for the brave hearted souls. Ranthambore, being one of the largest national parks in Rajasthan, houses a healthy tiger population. The lucky ones might sight a tiger from a close distance. It's a good place to explore the natural habitat. Don’t forget to take your camera along and shoot the best ones! 6. Pushkar - for the combination of religious and art lovers! With a distance of about 400 kms from Delhi, Pushkar is one of the most ancient towns of India. Art lovers will find peace here as they witness a group of supremely talented folk dancers dancing their heart out beneath the magnificent starry sky. With a variety of holy places to visit and a rare camel fair, this destination is a favorite for not only Indians, but for international tourists as well. Experience staying in a tent with your partner overnight in the middle of the cold sand dunes. 7. Jaipur - for re-living the history! As close as around 250 kms from Delhi, Jaipur, the capital city of Rajasthan, will give you the best of forts, palaces and temples. Famously called the pink city, one should visit and experience its royal charm. Mainly the ancient history of this place has made it a tourist attraction. Do not miss the mind blowing light and sound show at Amer Fort where history comes alive with the narration of Amitabh Bachchan, making the night surreal. Best suited for : Newly weds, friends and families. Attractions in Jaipur : Amer Fort and Palace, Jaigarh Fort, City Palace, Camel Safari, Hot Air Ballooning, Elephant Rides, Desert Safari. 8. Jodhpur - for the view from a bird’s eye! About 600 km far from Delhi, this city is widely known as the ‘blue city’ or ‘sun city’. The numerous historical monuments, forts, palaces and temples has made this a favorite tourist destination. Mehrangarh Fort, which is one the best preserved fort in India, still houses the recent reign of prince. Do not miss reaching up to the cliff, which is 400 feet above the skyline of Jodhpur. Enjoy the spellbound view of the entire city with your better half! 9. Jaisalmer - for the desert lovers! About 730 kms away from Delhi, Jaisalmer is in the middle of the Thar Desert. The yellow sand stones give out a golden look, explaining why it's called the Golden City. With a variety of forts, palaces and desert lifestyle, the entire city is a breathtaking sight, especially during sunset. Do not miss the mesmerizing view of the sunset over sand dunes - best experienced if viewed with hands in hands of your partner! 10. 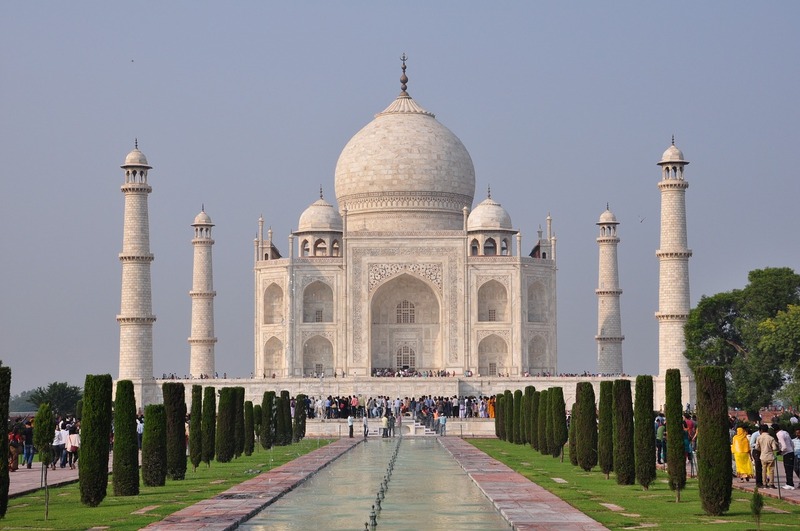 Agra - for the budding lover inside you! The second closest destination, only about 230 kms from the capital, Agra is best known for its monument of symbol of love - Taj Mahal, making it one of the 7 wonders of world! Create a new love story with your partner here with the blessings of Shah Jahan himself. It is a breathtaking sight to see the monument with a full moon shining on the top of it. The city also houses the architectural remains from the time of Mughal Empire. Agra 15th August Weekend Getaway from Delhi - Same Day! 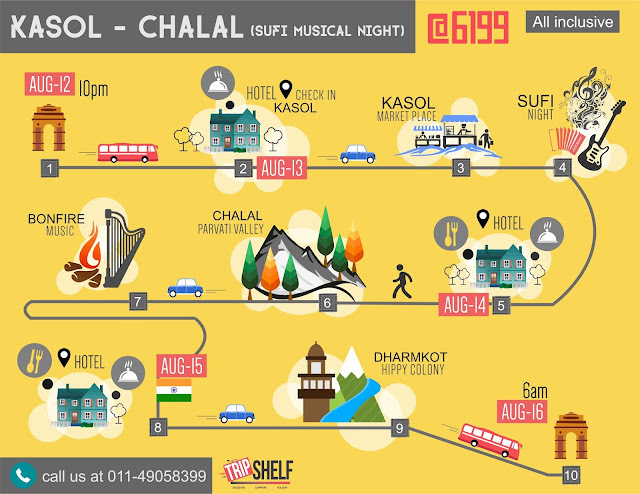 We've got a great Agra weekend getaway planned ladies and gentlemen. Heard of the Gatimaan express? It operates at 160 Kmph between Delhi to Agra and covers the distance in 1.5 hours. Wow! This 14th August we're giving you the chance of a lifetime to take a quick trip in the Gatimaan express to the 7th Wonder of the World - The Taj Mahal from Delhi the same day! c. 1:00 PM - Sumptuous Buffet Lunch at the five star Jaypee Palace Hotel. d. 2:30 PM - Sightseeing at the Agra Fort. e. 4:00 PM - Free time at leisure at Sadar Bazaar Market Agra - pick up some Panchi Petha! f. 5:00 PM Transfer to Agra Cantt Railway station for Gatimaan express at 5:50 PM. g. 7:30 PM - Back in Saddi Delhi! 2 PAX - INR 3999 per person all inclusive (Child below 5 goes free). Limited seats available, it's the Taj Mahal, duh!